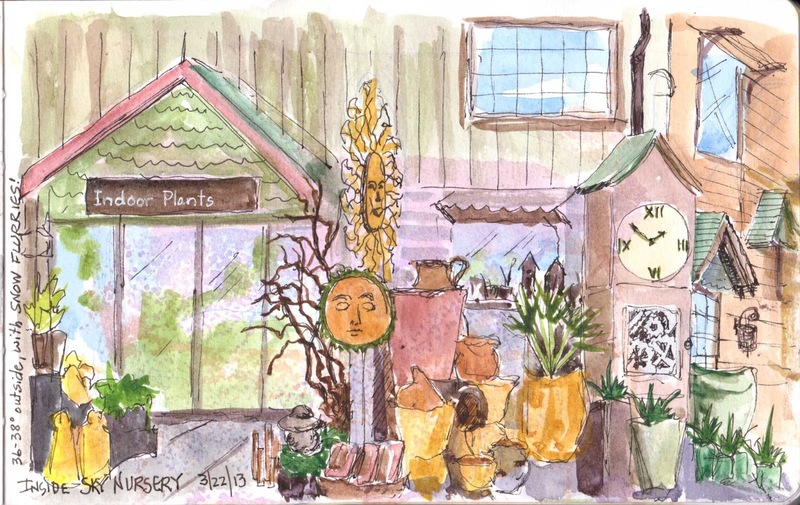 Urban Sketchers Seattle: Sky Nursery in a Snowstorm! Sky Nursery in a Snowstorm! A few of the Urban Sketchers met up at Sky Nursery today. Hard to believe on March 22nd, but I drove up there in a wild snowstorm (albeit so brief, it had stopped before I got there.) It did keep one would-be sketcher away, but the other 3 made it just fine. It was good to be inside (outside was 36 degrees when I arrived!) and the flowers tempted all of us, but we each found other interesting subjects. The nursery was full of yard art, and every manner of pottery. In this sketch, I was taken by the repeated circular images. 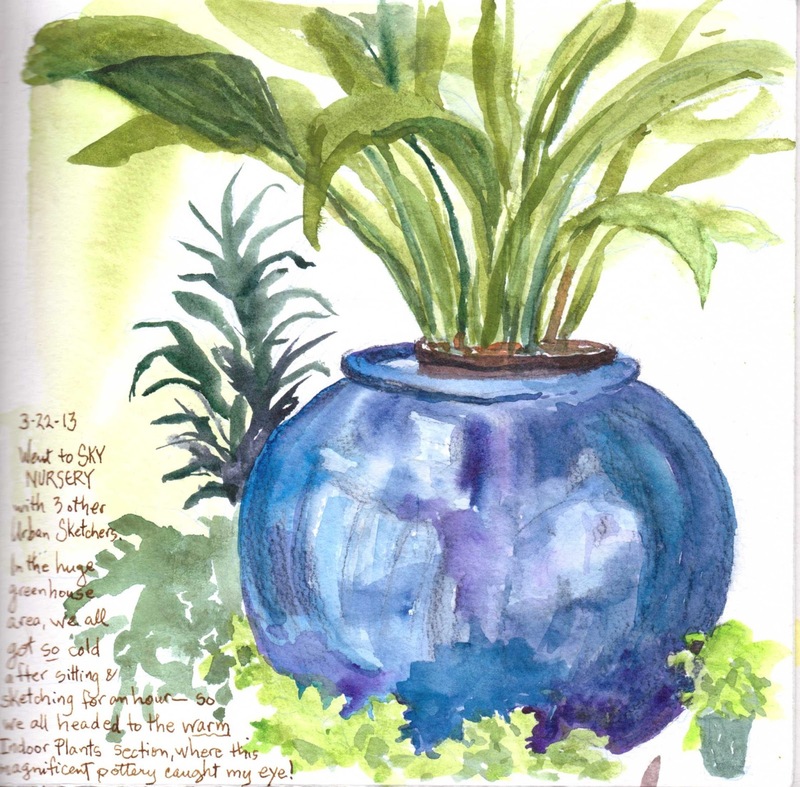 Sitting and sketching in a rather cool nursery, I knew I had to go into the "Indoor Plants" room to do my second sketch. Ahhhh, warmth, and green all over, and by the time I was finished, we had sunbreaks adding to the glow. Definitely a fun place to go, and it was the first time I ever went to a nursery and did not buy any plants!! These are great! Staying in my cozy house was too much of a temptation. I agree. These are very good! I like how you've painted the clutter of pots in the first one.